One of the challenges within schools and school districts is to easily centralize, cross and distribute data from multiple sources without using expensive software. With Sheetgo it’s possible to create your own automated workflow from your schools current spreadsheet data. No technical skills required! This system enables teachers to flag students in need of tutorial support for a subject. Google Form responses from teachers are combined with filtered data extracted from internal databases (SIS). From the database to Excel, connecting it to Google Sheets with Sheetgo, creating a report of student data. Then distributing data with Sheetgo, automatically assigning them to fitting teachers. Use our simple-to-use template to keep track of all students attending. Manage multiple classes using a single system. Install, replace the dummy data and update the connections with the click of a button, or set up automated updates. 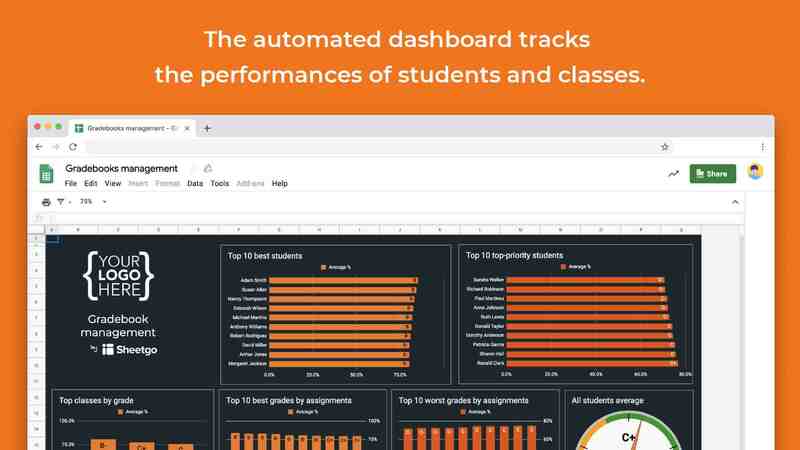 Sheetgo’s feature: filter is often used in K12 school districts to protect the privacy of students by distributing only filtered spreadsheet data among schools, teachers and staff members. 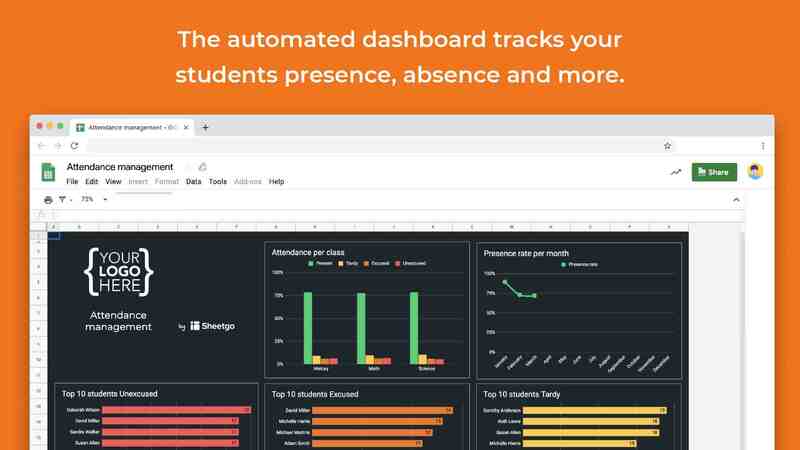 Use Sheetgo to empower your school districts workflow and use the time and money saved on what matters most: education. This template is ideal to start creating an education workflow to manage all your student´s grades. Manage multiple gradesbooks from multiple students from different classes. To support education, Sheetgo offers a forever discount for schools and other educational organizations.